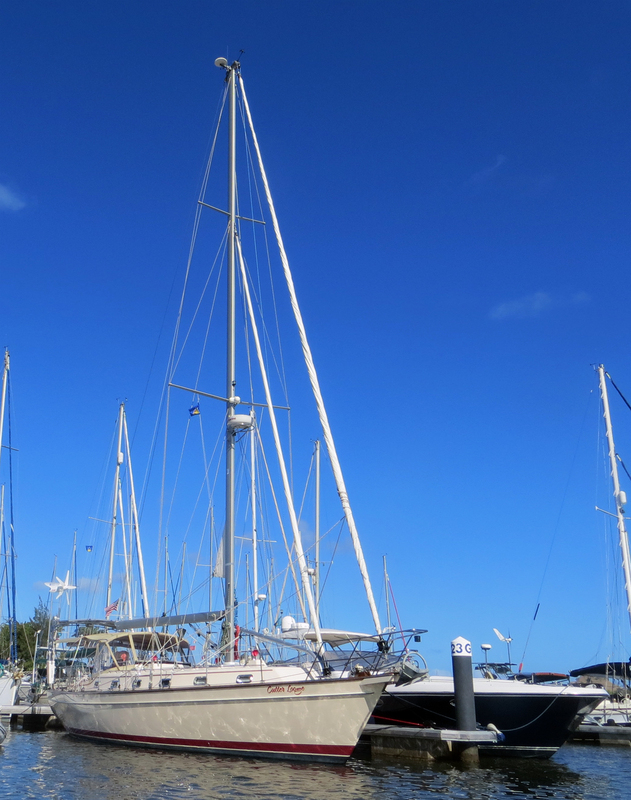 On Saturday 3/15, it is a short and sweet 25 mile sail from Sainte Anne, Martinique to Rodney Bay, Saint Lucia. The wind today is relatively light and slightly north of east at 13 to 16 knots. From Sainte Anne, the wind angle to Rodney Bay is a comfortable 120 degrees in 2 to 4 foot wind-driven swells. This is the ultimate in relaxed sailing. Cutter Loose is making 6 to 7 knots over ground as she comfortably carves her way through benign conditions to Saint Lucia without so much as a hint of salt spray or seawater on deck. Could it be that the calmer weather of spring has arrived here in the Eastern Caribbean? Or is today’s sea state an aberration? 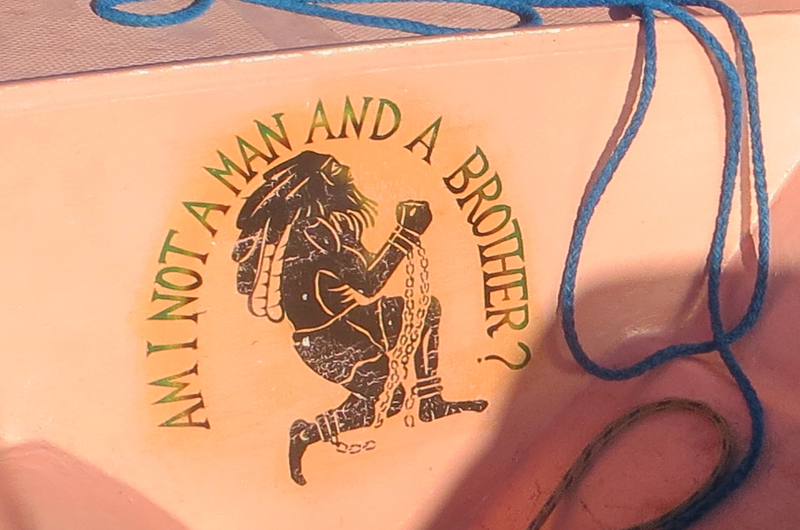 In any event, the anchor is down in Rodney Bay at 1 PM with plenty of time to clear Customs before the office closes. 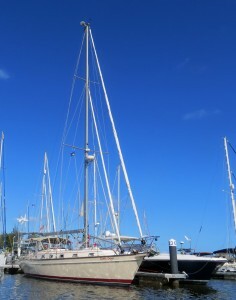 On Sunday morning 3/16, Cutter Loose is tucked into a slip at Rodney Bay Marina. Unlike our earlier visits, there are many available slips in the marina. In fact, the marina is offering a special rate to attract new business. Guests paying for a two-night stay receive a complimentary third night. This comes as welcome news since our motive for visiting Rodney Bay Marina is to wash, polish and provision the boat. The extra free night will provide a cushion of additional time to attack our list of chores, not the least of which includes a visit to the local inflatable shop to repair damage to the dinghy sustained at the Fort-de-France dinghy dock during Carnival. Dinghies take a beating at the concrete pier dinghy docks in the Eastern Caribbean. Time passes quickly at the marina as the ship’s to-do list shrinks. Cutter Loose is looking reasonably ship shape after a thorough cleaning. The galley is packed with provisions to carry us through the next few weeks in the Grenadines and well into our time in Grenada prior to haul out at the end of the season. In the coolness of the evenings, we reward ourselves with meals ashore. After all, Patricia has earned a well-deserved break from her outstanding work in the galley. On Wednesday 3/19, Pat attends the lady cruiser luncheon at Bay Gardens Resort on Reduit Beach. 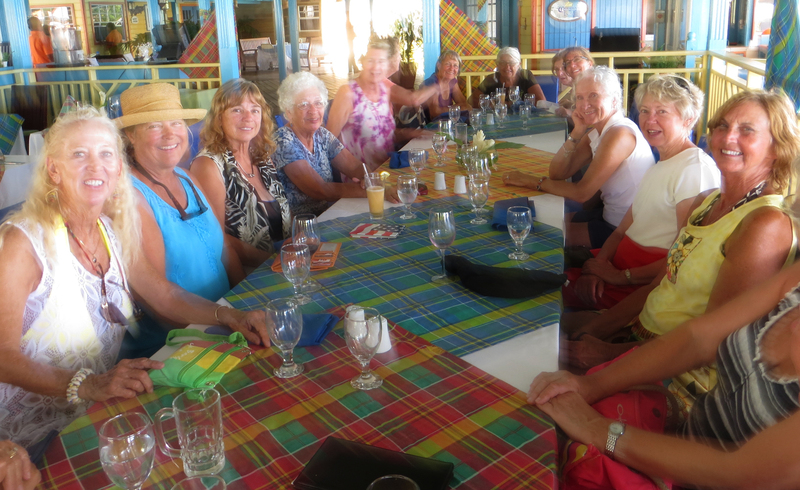 Every Wednesday at 11:45 AM, all cruising women are invited to gather at the resort for lunch, conversation and an afternoon swim in the pool. These outings provide a valuable opportunity to learn from others and to build lasting friendships, not to mention the provision of time away from the boat and spouses. Upon her return to Cutter Loose, Pat is buzzing with information about new friends and issues of importance to the cruising community. Brisk trade winds have returned to the Eastern Caribbean in time for our departure. One final task involves topping off the fuel tank with duty free diesel from Rodney Bay Marina. This is an excellent yard in which to purchase fuel, inasmuch as the significant volume of diesel pumped here insures a fresh, clean supply. Vessels ranging in size from Rasta fishing boats to smaller cruising sailboats to 100+ foot mega yachts all take on fuel here. With Customs formalities completed, Cutter Loose will depart in the morning for the island of Bequia in St. Vincent and the Grenadines.